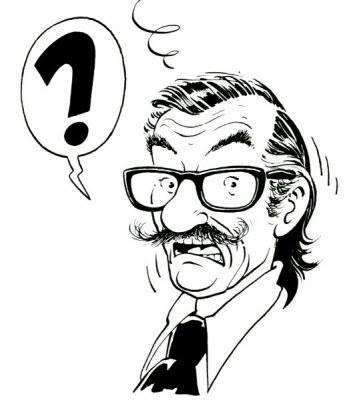 In issue 34 1949 of the weekly youth journal Ons Volkske Bob De Moor would present the story “Oorlog in het Heelal” (Eng. 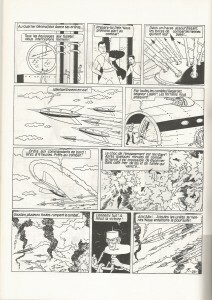 “War in the universe”), an SF story which would run until issue 15 of 1950. The 32 page story was situated in the year 2450 and is one of several SF stories which Bob De Moor would create. Sadly enough, these stories are hardly known by the bigger public and no longer so easily to find either (especially not at normal prices). In this story, which clearly shows the influence of Edgar P. Jacobs‘ magnificent “The U-beam” on Bob De Moor, you’ll discover a Bob De Moor at work who was at the same time running 6 other weekly series (yes 7 in total!). Despite the speed and short deadlines, Bob De Moor managed maintaining a constant quality in his work, although it’s clear that not all the pages of this story for example have the same finishing touch. But, the seed planted start baring its fruits. And although the influence of Edgar P. Jacobs‘ “The U Ray” is indeed very visible (space vessels, ape-humanoids, …), Bob De Moor made sure that it wouldn’t be too serious. As a result the story involves lots of typical situational humor à la De Moor including exploding cigars, lots of falling, etc.. The prelude to “Destination Moon”? As you can see on the left, there is also a case which reminds of the first work De Moor would have to complete at the Studio Hergé, namely the rocket installation for “Destination Moon”. So for De Moor the work he had to do for Hergé wasn’t all that new. 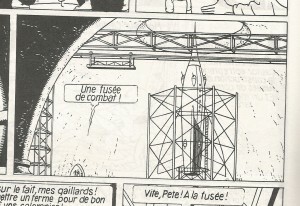 The difference was that the Studio Hergé would give him enough time to complete the drawing as he wanted it to be: detailed. 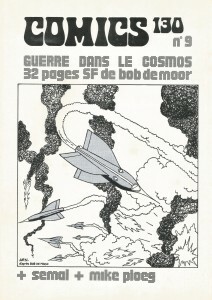 The cover of Comics 130 which was NOT by Bob De Moor. The story would never be released in an album format. 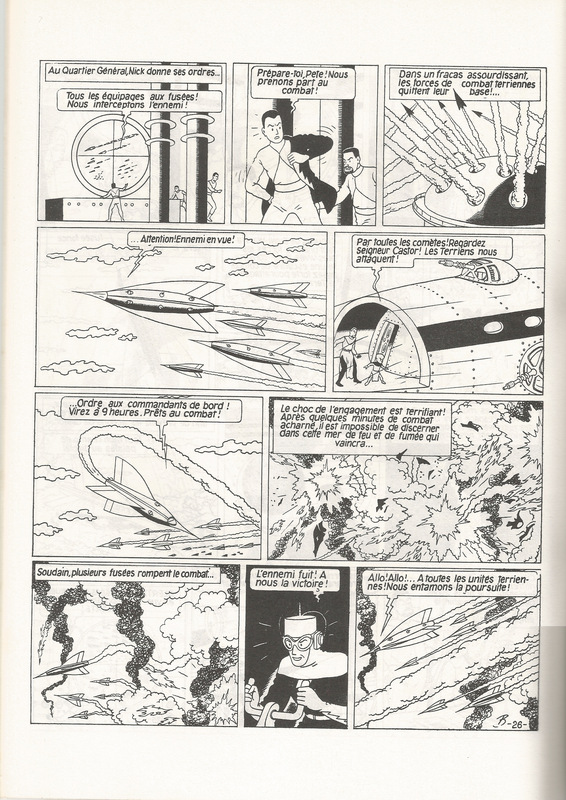 Luckily enough both the dutch written Ciso and the french written Comics 130 magazines would publish the story some 20 years later: Ciso in issue 5/6 (1971) and Comics 130 in issue 9 (1974). 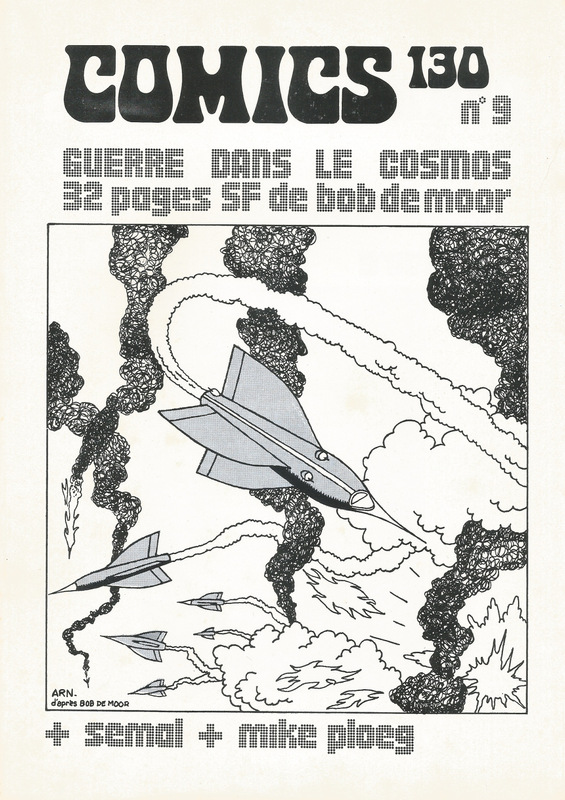 Note that the Comics 130 cover which you see on the left was not designed by Bob De Moor but by a certain ARN after Bob De Moor. Strangely enough, the cut out frontcover is often being traded on eBay and related websites as being a Bob De Moor original whereas you can see the difference very well.